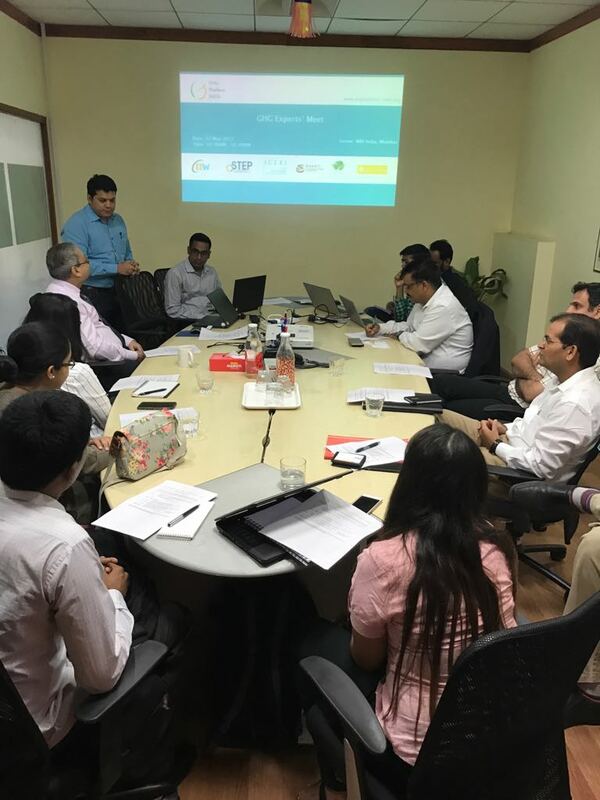 On behalf of GHG Platform India Western region a meeting was organized by WRI India in Mumbai on 17th March 2017 to stock take experts’ opinions and plausible solutions to the challenges that the GHG Platform India is likely to face on methodological issues, calculation methods and activity data related issues. The event was attended by academia, industry sector, government organization and technical specialists. During the meeting it was presented that whereas there are inventories present for India at national level (NATCOMs and BURs), the methodology followed for estimating emission reductions, data source and assumptions made are unknown. It was highlighted the key findings and numbers from Phase 1 of GHG Platform India. No major challenge is envisaged in Agriculture sector apart from putting the data together. In Livestock sector, the major challenge is the use of IPCC default emission factor which is high and therefore, the calculation of emission factor may lead to over estimation. In LULUCF, the major challenge revolves around the origination of data. Further, time series data on diesel consumption for agriculture sector at state level and fisheries sector is also not available in public domain. The electricity generation have relatively lesser roadblocks but the data for the year 2012 is not yet published by CEA. Country-specific emission factor is not available for some fuels. With respect to fugitive emission sector, degree of gassiness for underground coal is not attributed to depth. Concerns were also raised on leakage rate which is not country-specific. Unavailability of data at state-level is also a major concern. For waste water sector, the major challenge is data reliability and non-availability of state-level data per tonne of product for each industrial sector. MCF value is also a challenge at state-level as it depends on prevalent type of technology. In domestic waste water sector, similar challenges are envisaged with MCF values. Further, she highlighted the difficulty in availability of state-level data with respect to collected and uncollected waste water. Diffusion of technology at state level considering urban high and urban low is also not readily available.